The former name of this device is the Verizon 4G LTE Broadband Router with Voice. 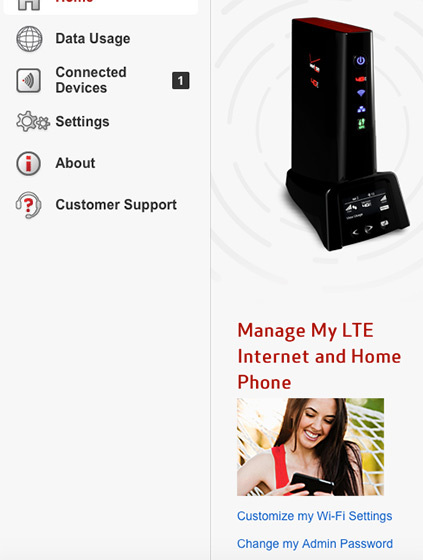 Access the router configuration console then click Customize my Wi-Fi Settings (located just below "Manage My LTE Internet and Home Phone"). Para obtener asistencia para acceder a la página de configuración del enrutador, consulta Cómo acceder a la configuración del enrutador. 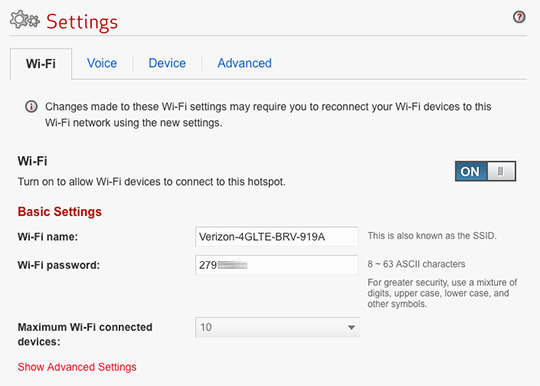 From the Wi-Fi Profile tab, adjust as desired then click Save Changes.